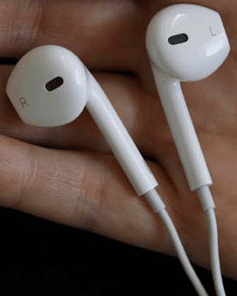 Apple iPhone 5 ear buds officially named Apple Ear Pod will provide an amazing audio experience. The specially designed ear pods are an advanced gift. It is more comfortable for the geometrical features of our ears. Comparing other ear bud type head set of the smart phones; Apple ear pod definitely take a superior position because of its stunning design and performance. According to the official assessment of the Apple Inc, the stereo speakers inside the Ear Pods specially designed for reducing bad noises and boost up the sound clarity. These engineering skills provide a high quality audio. Along with the hand set remote and mic also includes in the box.